Not sure how I missed this but in 2007 Bush signed the bill that phases out incandescent light bulbs. Starting January 2014, 40 W and 60 W incandescent lights were phased out saving enormous amounts of energy and further reducing use of coal generated electricity. 75 Watt and 100 Watt bulbs have already been phased out. Compact Flourescents and LED bulbs are replacing them. It is hard to imagine objections. CFLs pay for themselves in about 4 months. LEDs take a little longer but have no mercury. Also LEDs are still improving rapidly. They are expected to become twice as efficient as CFLs in a decade and cost of ownership will be the lowest of any source. 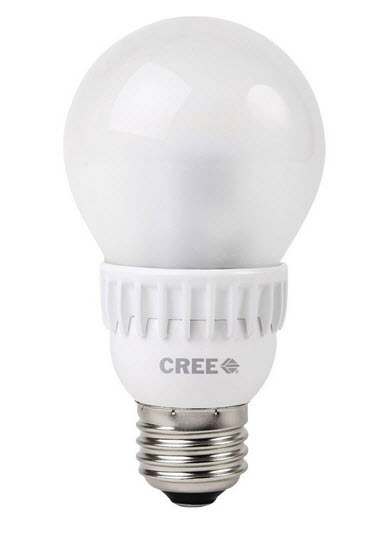 It is also worth pointing out that the leader in LED lighting is CREE a US company. 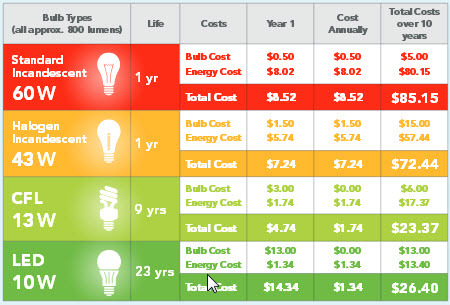 Below are helpful comparison graphics prepared by the Natural Resources Defense Council. And LED technology is expected to improve dramatically over the next decade. Efficiency is expected to double in a little over 10 years and prices may drop to 1/2 of what they are today. 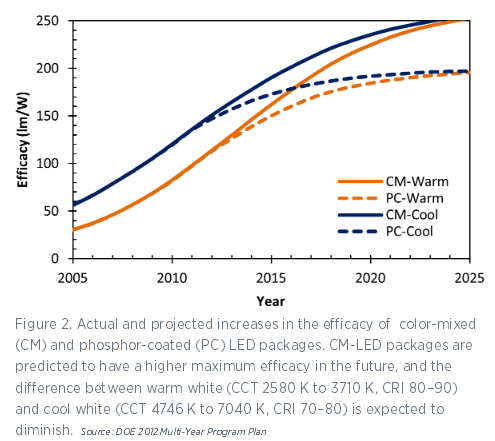 The DOE put together a nice fact sheet on LEDs linked to here. 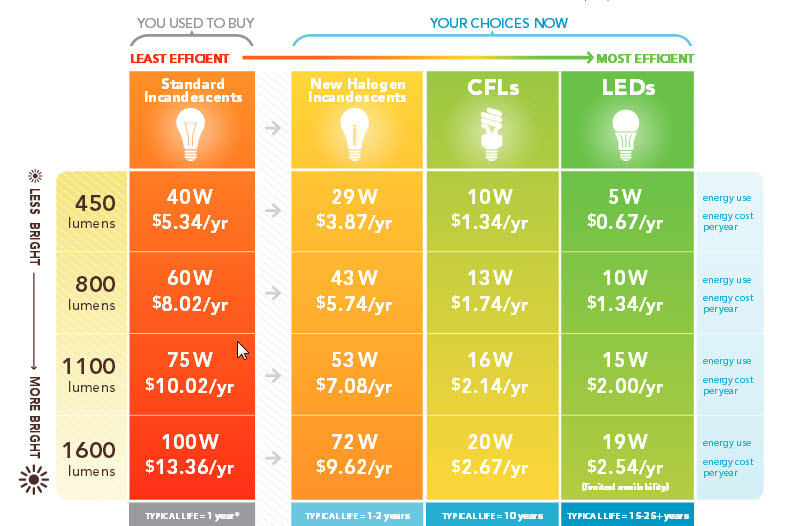 UPDATE 2/16: Here is a helpful piece from the NRDC on lighting efficiency standards. A good article with everything you wanted to know about LEDs but were afraid to ask. UPDATE 2/16: A more comprehensive comparison here. LEDs are also moving into the flourescent space. This group has nearly doubled the efficiency of LED lighting. You can buy the Nanoleaf light on Amazon. This entry was posted in New Energy Paradigm, Path to a New Paradigm and tagged Efficiency, Lighting. Bookmark the permalink.